MAPPING CAREERS FOR PILOTS Colorado Heli Ops CEO Dennis Pierce spent the last four years creating a pathway to success for pilots willing to put in the effort. A LOOK AT THE BIGGEST SHOW EAA’s annual Airventure show is still lacking in support of the helicopter industry, but there is still reason to be at the biggest aviation show in the world. WOAW FACTOR ANNUAL EVENT BREAKS BOUNDARIES This year’s women of aviation worldwide event showed a new generation there are no limits to what you can achieve. Kevinf Bredenbeck Pilots the Sikorsky S-97 Raider during a test flight. Photo by Sikorksy Aircraft. CONTRIBUTING PHOTOGRAPERS: Sara Hunter	Damon Duran Seth Lasko	Scott Dworkin Darren Willmin CONTRIBUTING WRITERS: Ben Foulds Jessica Kanellos Brian Parsons Alison Martin PUBLISHED BY: Airborne Productions LLC. A US Navy veteran, Jason is now a wellestablished aviation photographer and journalist. Based in the Los Angeles area, he specializes in business aviation, military aviation, emerging technologies, and investigative journalism, Jason also serves as our Los Angeles Bureau Chief. Contributing Editor A writer and professional photographer for over a decade, Sara specializes in photography that captures the human element. She recently received national recognition for her work in producing a yearly calendar that showcases the real life of those in law enforcement. An aviation writer and photographer for many years published in multiple global aviation publications. Damon has also serves as a Professional Services Responder for the Orange County Sheriff’s department in California as the agencies Aviation Section photographer for several years. Helicopter FAA Designated Pilot Examiner, conducting Private through ATP level exams.His experience spans Air Medical,Law Enforcement, Flight Instruction and ENG Flying.A 3 time Master Instructor, FAA Gold Seal Instructor, USHST Human Factors Group representative and FAASTeam representative for the Greater Cincinnati Ohio region. that I have had to adjust in the air or decide to abandon a specific angle or shot that I was aiming for due to pilots not being comfortable once we were airborne. Always having an affinity for writing and later photography and videography, Ryan started out as a photographer and writer for several aviation magazines before having the opportunity to pursue his passion through COLLECTIVE, turning his love for aviation into a dream job. Writer/Photojournalist Starting his aviation photography career almost a decade ago, he has been published in both national and international aviation publications featuring his work with both jets and rotary aviation. Writer/Photojournalist Darren Willmin has been an aviation photographer for over 20 years. His passion for aviation taking him around the world. Willmin is also a published aviation book author and the owner of company Aviation In Action that specializes in aviation photojournalism for magazines. 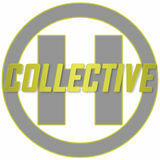 Check Out our Huge Inventory! Over One Million Items! We have a large inventory of quality parts from reputable sources, for outright sale and exchange. We get you flying faster. dynanav.com The premier independent supplier of PT6 turbine engines and components worldwide. Our inventory is in stock in our warehouse and ready for fast delivery! We provide exchanges and sales on a wide variety of engine models and on serviceable turbine engine parts. Westpac Helicopter Rescue on a job in Northern NSW Australia. R44 II sunbathing on the ramp in Tallahassee, Florida. Photographer: AndrĂŠ F. Connan. Hillsborough County Sheriffs on a training mission in Florida. Photographer: Brian Parsons. A TEMSCO AStar resting on the helipad in Skagway, Alaska. Photographer: Jamie Livingston. Lake Helen is one of the pilotâ&#x20AC;&#x2122;s favorite landing areas near Mt. Lassen in California. Photographer: Doug Hatcher. A Mk3 Merlin conducts exercises in the mountains of Norway. Photographer: Simon Pryor. Life Flight Network AW119Kx at Emanuel Hospital in Portland, Oregon. Photographer: Scott Rumple. A Bell 407 out on the job in beautiful rural Oregon. Photographer: Kris Jeremiah. Just another day working the fire line. Photographer: Michael Larch. HEMS configured AW139 operated by Provincia Autonoma di Trento, in Trento, Northern Italy. Photographer: Daniel Bertagnolli. Helinews CHC Continues North Sea Growth, Holds Regional Safety Summit the Airbus H175 and Leonardo AW139 with Neptune Energy being CHC’s largest customer in the EMEA west region. The first CHC H175 waits to depart on the innaugural flight out to the North Sea. Photo: CHC helicopter. In addition to CHC’s EMEA region suceesses, the company also announced the completion of its fourth South American Safety and Quality Summit in Rio de Janeiro. This year’s event was attended by more than 150 attendees with opening remarks from CHC’s Vice President of Safety and Quality, Duncan Trapp, followed by Marcelo Soares, CHC’s regional director of Latin America, who emphasized the importance of safety for the company. “CHC Brasil is made up of 450 professionals and we have operated in Brazil for 30 years, with safety as our top priority,” said Soares. CHC will also hold a larger Safety and Quality Summit in Dallas, Texas October 2-4, 2018. Van Horn Aviation receives STC for Longranger composite blades Van Horn Aviation received Supplemental Type Certification this month from the Federal Aviation Administration in the United States for the companies composite main rotor blade product intended for the Bell 206L LongRanger helicopter. Loosely based on VHA’s composite 206B JetRanger main rotor blades certificated in 2016, the new Van Horn LongRanger main rotor blades were approved with a 16,000-hour service life - four times the lifespan of the current OEM blades. direct replacement without hub modification. Van Horn Aviation has seen recent success since the 2016 introduction of composite blades for the 206B variant, with a large amount of sales in the Australasia region where there are over 500 206 models still flying. The company will market the new blades at an introductory price of $55,000 per blade through December 31, 2018. Rotortrade partners with Indocopters in India Announced during the Heli-Power India Airshow this month held in New Delhi, India, the companies announced the signing of a Network Partnership Agreement that will provide sales of pre-owned helicopters, retrofit services and ongoing support solutions to the Indian helicopter market. our intentions are clear, and we are convinced Indocopters is the best partner to achieve our targets” said Aurelien Blanc Partner at Rotortrade. “Indocopters will not compromise on quality and believes like us Rotortrade is an international helicopter dealer and distributor with six offices located that we must raise awareness on ways to build a more sustainable in in Singapore, Malysia, the United States, Canada and Mexico and is an exclusive international dealer of Leonardo helicopters worldwide. and profitable industry for the benefit of all parties involved notably Indian operators”. “With this new partnership Indocopters closes another gap. With sales and re-marketing of pre-owned Helicopters, our operational (NSOP), maintenance and parts support, Indocopters is now a complete Solution provider for the Helicopter industry in the region. A one stop shop.” said Per Smedegaard, CEO at Indocopters. Indocopters operates the largest specialist helicopter MRO center in India, headquartered in Greater Noida (New Delhi.) Indocopter operates alongside sister company Global Vectra, India’s largest privately-owned helicopter operator under the umbrella of the Vectra Group. Both companies noted a clear need to integrate their complimentary services providing joint benefit to both operations. As part of the agreement, Rotortrade will provide access to the companies extensive inventory along with their international helicopter sales experience. Indocopters ability to negotiate the complex intricate knowledge of Indian regulations and specificities combined with extensive in-house MRO capability including paint booth, engine shop and several bases across the country, the partnership will enable customers in India to source the best helicopters from around the world with a suit of customization and operational maintenance support options throughout India. The aim of this partnership is also to help provide an outlet for local operators to trade their helicopters within the global market rather than in their domestic market. It will give international customers more peace of mind and the opportunity to rely on a first-class organization to ensure the condition of the helicopters being sold and a smooth export process. Indian operators will also benefit from a suit of warranty services available on select Rotortrade helicopters. Robinson Helicopters announced the FAA approval of the companies R66 cargo hook installation. The optional cargo hook carries external loads up to 1200 lb and increases the R66’s maximum gross weight increases from 2700 lb to 2900 lb. Robinson, founded in 1973 is is the world’s leading manufacturer of civil helicopters and will be accepting orders for cargo hook installations on new R66 aircraft immediately. Pricing for installation of the hook starts at $28,000. The facilities being given expended protection cover two National Geospatial-Intelligence Agency facilities near St. Louis, Missouri. These changes, which are highlighted by FAA NOTAM FDC 8/7350, are pending until they become effective on August 30, 2018. The FAA further advised that operators who violate the flight restrictions may be subject to enforcement action, including potential civil penalties and criminal charges. Information on the FAA Notice to Airmen (NOTAM), which defines these restrictions, and all of the currently covered locations, can be found on the FAA website, that includes an interactive map, downloadable geospatial data, and other important details on restrictions along with all details being provided in the FAA’s B4UFLY mobile app. The Bell 525 has suffered setbacks including the crash of a test aircraft, but the company states that testing is back on track. Photo: Bell. Bellâ&#x20AC;&#x2122;s long awaited 525 completed hot weather testing conducted in Yuma, Arizona announced in a recent press release from the company stating the 525 completed testing at temperatures up to 120 degrees Fahrenheit as well as high altitude operations to density altitudes of 14,000 feet. Canada. The Bell 525 flight test program has now accumulated over 1,000 hours of total test time with speeds exceeding 200kts at maximum gross weight limits. Bell stated that the aircraft performance continues to meet or exceed all design specifications. Bell stated that the next step for the 525 is preparing for FAA flight test participation in Q4 2018 with a goal of planned certification in 2019. TAS Achieves 10,000 Flight Hours with Sikorsky S-76D Fleet TAS has conducted its offshore operations for oil and gas producing companies for 30 years, utilizing Sikorsky helicopters exclusively. Since 1977, Sikorsky has delivered more than 875 S-76 helicopters to customers around the world. The offshore oil transportation mission accounts for 65 percent of the more than 7.25 million hours flown by the entire Sikorsky S-76 fleet. operating as Sikorskyâ&#x20AC;&#x2122;s first Customer Support Center in Thailand. TAS operates a total of eight Sikorsky helicopters, including five S-76D medium-lift helicopters, two S-92 heavy lift helicopters and one S-76C++ helicopter. MFD, and a Garmin GTN 650 touchscreen NAV/COM/GPS. The TVA MD530F will also feature additional mission equipment that includes a Fargo 21-gallon auxiliary fuel tank, Onboard Systems talon LC Keeperless 3,600 pound cargo hook and Colorado Helicopters side hook bracket, high visibility main rotor blades and a wire strike protection kit. The Tennessee Valley Authority (TVA) purchased a new MD 530F from MD helicopters this month. The MD 530F single-engine helicopter will be configured to support powerline utility, inspections, and construction operations throughout TVA’s multi-state service area. This will be the third F-model to join the TVA fleet. “Helicopters utilizing a working platform to perform construction, maintenance, and inspection services, can complete work faster and more efficiently than a ground crew,” said David G Hill, General Manager Aviation Services, Tennessee Valley Authority. “The ability to deliver linemen directly onto the structure allows the work to be completed without impacting the surrounding environment.” TVA’s service area covers most of Tennessee, portions of Alabama, Mississippi, and Kentucky, and small slices of Georgia, North Carolina, and Virginia. TVA will take delivery of their new MD 530F in the fourth quarter this year. the airframe, occupants and dynamic components should the aircraft impact wires during forward flight. With certified cable cutter options on over 10 different aircraft models including, most recently, the H135/EC135 T3/ P3 and H145/EC145T2, DART continues to promote safety by developing cable cutters that can save lives. Canadian and European validations for the H130/EC130 kit in development and testing currently. EuroTec Installs First North American Maximum Pilot View Kit particularly those flying external load, aerial powerline patrol/service, airborne public safety, tour and firefighting missions. Key features of the MPVK door include improved lateral headroom for pilots, a seamless righthand panorama and elimination of airframe structures that typically cause loss of target view. The MPVK increases visibility by a factor of ten allowing superior downward and lateral views of terrain and load the company states. EuroTec performed the installation for Washingtonbased Rainier Heli International, the first operator in North America to implement the Maximum Pilot View Kit. “Partnering with the innovative team at Swiss Rotor Solutions allows our customers a streamlined implementation of this new offering,” states EuroTec’s President, Chad Decker. “Our team at EuroTec has decades of background in the H125 airframe, ensuring a quality installation every time.” “After many years of fatigue and strain during vertical reference flights, this (Maximum Pilot View Kit) door and window upgrade is a major safety and efficiency improvement,” states longtime Pilot/Owner Jim Robinson with St. Louis Helicopter. system controller that alternately pulses the landing and auxiliary lights of a helicopter, thereby increasing its visibility and reflecting the speed and directional movement of the aircraft. In addition to enhancing the margin of safety by increasing aircraft recognition, the Pulselite System has been proven to significantly reduce bird strikes. The Pulselite System is certified for all major rotorcraft models through the Federal Aviation Administration. The recent exponential growth in global bird populations, combined with the increase in global air traffic, has caused bird strikes to become a primary safety threat and financial burden to rotorcraft operators. Frédéric Henrion started his career in 1987 with Hoechst as HR assistant. In 1988, he joined Lyonnaise des eaux (today part of the Suez group) as an HR representative. Within the company he fulfilled roles such as HR Manager (1991) and Careers Director (1995), before moving to United Water’s North American subsidiary as HR Director (Centers of Excellence & Staffing – 2000), and Director of Labor Relations (2003). www.preferredairparts.com Preferred Airparts, LLC Divisão de Indústrias JILCO. sales2@preferredairparts.com Horário de vendas: 7h15 até 20h. Nós compramos os estoques de novas peças excedentes para quase qualquer coisa que tenha arquivos. Também motores e hélices cansados ou prejudicados de Cessna Gêmeos, Caravans e Citations. calls that are in high altitude conditions that can also include responding to avalanche rescues. The new EC145e aircraft is also fitted with standard air ambulance equipment, which AirMed plans to utilize for mechanical circulatory support and bariatric support services as needed. company also operates a helicopter training center in Louisiana and performs completion services for a wide range of OEM aircraft that are delivered worldwide. Metro Aviation also notes specializing in the EC135 and EC145 with several Supplemental Type Certificates (STC) developed by the company for these and other aircraft. The EC145e is a light twin helicopter that differs from the standard model by its increased useful payloadwhile retaining the power and performance of the EC145 model, now a favorite of the air medical industry. The EC145e delivered includes a single pilot VFR glass cockpit, Garmin G500H and GTN 650 GPS, with a maximum takeoff weight(MTOW) of 7,903 lbs, equaling the MTOW of the EC145C2 variant, increasing the useful load capacity by 330 lbs. GVH Aerospace Delivers Aerostretcher MK IV System In Australia GVH Aerospace announced that its AeroStretcher Mk IV modular aeromedical system has been selected by the Caboolture Hospital in Queensland, Australia, as its new critical care transfer stretcher. “We are extremely pleased that the Caboolture Hospital has selected our system as their critical care transfer stretcher as this is validation of the design philosophy that went into the conception of this product,” said GVH Aerospace CEO Gareth Dyer. “GVH Aerospace has created a high quality product with many innovative and patient-focussed features. All aspects of patient handling have been addressed, from loading and unloading the patient to equipment security while in transit. This stretcher is an example of excellent engineering and collaboration with front-line clinicians,” said Caboolture Hospital’s Emergency Staff Specialist Dr Doug Feinbloom. He added that the state-ofthe-art system demonstrated a leap forward in the safe transfer of critical care patients from Caboolture. Emergency Department Director Dr Sean Keogh, who has over 25 years’ experience in aeromedical and road-based retrieval of critically ill patients, said that the stretcher was one of the most user friendly and effective system he had seen. The AeroStretcher Mk IV modular aeromedical system is installed directly on to aircraft seat tracks using GVH Aerospace’s patent-pending multi-fit floor interface system. The system is installed and removed in minutes without the need for tools and can be quickly adapted to any aircraft with standard seat track fittings. AeroStretcher Mk IV modular aeromedical system has been selected by RUAG as the standard medical and casualty evacuation system on the Dornier 228 aircraft. It is also certified for installation on the Airbus H135 helicopter as an EASA STC and currently being certified on other popular helicopter types. during an official ceremony at LABACE exhibition and detailed the contract could be extended to additional models in the future. With five main bases in Brazil, ICON Aviation is a prime national player for business aircraft and helicopter sales and services. The agreement will strengthen the presence of Leonardo in the key Brazilian helicopter market where the AW109 variants have proven popular and successful among many customers for passenger transport duties and other roles. The AW109 Trekker is the latest addition to Leonardo’s helicopter portfolio and the company’s first light twin to offer skid landing gear. weather and route info, as well as maximize VOIP and push-to-talk services to meet the anticipated flight times between the start and finish points. It also links up the feisty duo, the ground support team and online followers giving the competitors greater confidence in their navigation and flight operations, as well as providing essential moral support from terrestrial followers. according to flying conditions. Connectivity is crucial in making this happen. We can also interact with our followers, donation givers, family and friends to tell the story of our adventure. We can’t express how important it is to have this. We only started planning a few months ago and the SD services have helped make the impossible, possible,” says Outback Aviators pilot, Limkin. Participating in the time-trial gives the pilots an opportunity to inspire a future generation of aviators to recognize that whatever the challenges. The Classic Safari Company Outback Air Race sees competitors and aircraft pit their skills against each other in a GPS navigation time-trial crossing Australia’s unforgiving outback. The 9000kilometer (c 5592mile) aerial voyage from the east to west coast has raised over two million dollars for the Australian Royal Flying Doctors service since wheels up in 1996. The stories from the spirited pilots also bring awareness of the importance of aviation to a country as vast as Australia. res program can look forward to a long and successful career. Dennis Pierce photo. Founder of the Aviation Futures program, Colorado heli Ops CEO Dennis Pierce, said standing up a new program like this has not been without its complications and has taken almost five years. Dennis Pierce photo. the industry and when advancing in their career. In addition to a defined career path, the Aviation Futures program has attributes similar to that of cadet-type programs in the fixed-wing world. In airplane programs, low time pilots are brought under the wing of a regional airline or larger airline who trains the recruit and gives them the hours and ratings they need to fly aircraft such as the CRJ or Dash 8 on regional routes. During this period, the pilot gains valuable experience and time that qualifies them for a transition into larger aircraft and more desirable pilot jobs. In the fixed wing model, both the training liability and the cost rests with the airline. The Aviation Futures model, however, is quite different. the donating company gets a qualified pilot to hire, a tax write-off, and influence on the training program, but without the extra expense and risk exposure associated with training internally. The tiered program of Aviation Futures provides a training program and career path that is not only an industry first, but a win/win for everyone involved. Already well under weigh, over the last year AF provided more than 100 hours of free flight time to participants, most of it in turbines, and some with the owner of a program partners sitting next to the pilot. How would you like to spend four hours in a 407 flying cross country getting to know the owner of the utility partner? INDUSTRY SUPPORT In the short amount of time that the program has been operational, it has attracted some big names in the industry to sign on as partners. Those businesses will undoubtedly reap the rewards of the kind of candidate that the Aviation Futures program will create by way of reducing time spent hiring and selecting candidates. Commercial helicopter operators including Black Hills Aerial Adventures, Papillon Airways, Zephyr Helicopters, PJ Helicopters, Air Evac Lifeteam, and Aero Tech were early adopters of the idea for these reasons. Adventures, and other business partners within the Aviation Futures program to help nurture the next generation of professional helicopter pilots” he added. Air Evac Lifeteam is the first HEMS provider to see the benefits of Aviation Futures and sign on as a partner, “As the pilot shortage increases, we view this program as a resourceful method to develop a pool of qualified helicopter pilots for both the near and long term” said Air Evac Lifeteam’s Tony Bonham who serves as the Senior Director of Flight Operations for AEL. provide a clear and traceable history for each applicant, removing the risk and attrition for the operators when hiring new pilots. Partners in the Aviation Futures program are also permitted to stipulate a minimum employment term, if the pilot wishes to remain in the program. Colorado Heli-Ops’ active Safety Management System, propriety on-line Flight Risk Assessment & Mitigation Tool, and FITS/Scenario-Based training will ensure that pilots are well qualified for the positions made available through the program. H OW I T WO RKS To be eligible to participate in the Aviation Futures program, students must first complete their private rating at Colorado Heli-Ops. Once certificated, students can apply for a slot in the program. When accepted, pilots will be eligible for funding assistance through the program while they train to complete their ratings. Once training is complete, the pilot will choose the next step in the career path by applying for a position with an Aviation Futures operator for which they are qualified. With a successful interview, the pilot will be hired and begin moving through the career path. It is important to note here that the AF program accepts candidates at all training levels past private. There are two CFIIs in the program now that came from other schools. One that came to CHO as a CFII, and one that finished her commercial through CFII at CHO. Even though the tour season is winding down, both CFIIs have secured a spot in the BHAA rotation program for next season. The first tier of the Aviation Futures program begins once the participant completes a Flight Instructor-Instrument rating (CFI-I) at CHO. The participant is then evaluated for hire with CHO as a flight instructor. Upon successful hire and attaining five hundred hours of flight experience, the pilot may be selected for tier two of the program: flying tours with Black Hills Aerial Adventures (BHAA). 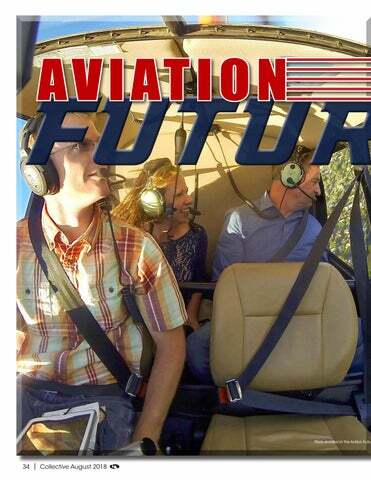 The Aviation Futures program is structured around a “tiered” progression. As a pilot gains flight and work experience with an Aviation Futures operator, the pilot becomes eligible for hire into an industry sector that requires more experience. Aviation Futures partner operators vary in experience requirements for hire, thus placing some operators in higher “tiers” than others. BHAA holds open positions each year for pilots in the Aviation Futures program. The selected pilots fly tours with BHAA for two weeks, and then return to CHO to provide flight instruction for two weeks on rotation throughout the summer season. Two of CHO’s CFIIs started the rotation in March and have enjoyed helping this program come to fruition. Pierce’s school in Colorado will serve as a feeder for the Aviarion Futures program and provide students a path to becomming a successful pilot and instructor. Dennis Pierce photo. Black Hills Aerial Adventures located in South Dakota was the first tour operator to sign on and see the benefits this program would provide them. Dennis Pierce photo. it and making it happen are two very different (with others wanting to sign up). Pilots who have things, as it has been a challenge to say the leastâ&#x20AC;&#x2122;. a successful interview will go on to commence training with the operator, which on completion Tier three of the program begins once the lands the pilot their first long-term role flying participating pilot has reached a total of one turbine helicopters. thousand hours PIC, but, they are encouraged to teach a bit longer and obtain an ATP certificate. T H E FI N AL T I ER At this stage they are eligible to take the next step in their pilot career. After gaining experience at tier three, some pilots may spread their wings and find their own The next leap forward in the program is a next stepping stone in their career. However, for guaranteed interview for full-time employment those looking to reduce the uncertainty with that with a tier three partner. Tier three partners that transition, tier four partners are already on board participants can interview with include Papillon and ready to give priority consideration to those Airways in Nevada or Temsco Helicopters in Alaska coming through this professional pipeline. Airbus Helicoptersâ&#x20AC;&#x2122; H130 flight demonstrator returning from a demo flight. Black Hills Aerial Adventures headquarters in South Dakota offers Aviation Futures program members the opportunity to get exposure flying mulltiple helicopters from Robinson Helicopters and Bell aircraft used as tourist helicopters flying around Mt. Rushmore. Dennis Pierce photo. Although it will still be at least a year until anyone in the program reaches the hours minimums required, partners like PJ Helicopters in the utility field and Air Evac Life Team in the air medical sector are excited that this initiative will make hiring the right fit for their organizations easier and lessen the work required of their human resources teams in selecting qualified applicants. The 4th tier in the program provides a 2000hour Aviation Futures pilot priority hiring all the way thru their careers until established in a fire, EMS, or heavy lift flying position if they maintain high professional standards for themselves. As the program matures, participant levels will continue to grow - thus, creating a much needed long term pipeline of applicants that already possess the needed skills. One of Colorado Heli Ops fleet of Robinson R44â&#x20AC;&#x2122;s flies above the clouds in Colorado. Dennis Pierce photo. on their ability to use sound judgement and implement the use of industry best-practices as they progress in the career path. Each selected candidate must exhibit professionalism, integrity, and strong risk management skills and aeronautical decision-making. All applicants are held to the same standard throughout the selection process and when evaluating their eligibility to continue into the next tier of the program. CONCLUSION The Aviation Futures program is the only one of its type for the helicopter industry in the United States that is active and benefitting pilots in the field. If not for the tenacity and commitment of Dennis Pierce & his team at CHO, the industry might still be without a needed program such as this that provides a clear career track with backing from industry heavyweights to make it happen. DI TINC To become a helicopter pilot, you must be skilled at many things. After the dawn of the social media age, those adept at mastering the art of self-promotion can become well known in their field with relatively little effort and some good luck. CTION set out to achieve over the course of their career. 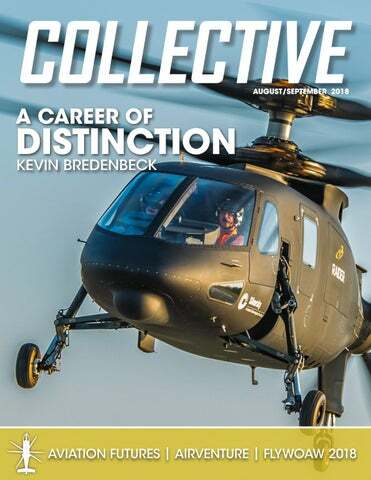 The latter group excelling behind the curtain of relative anonymity in the helicopter industry as “quiet achievers.” Kevin Bredenbeck is one of the quiet achievers that has achieved more over his thirty-five-year career than many could hope to accomplish over multiple careers. in Springfield, Massachusetts, during the “Gemini Years,” as the United States competed with longtime foe Russia to be the first country to send man into orbit and safely return him to earth, continuing the pursuit of greatness in the race to be the first country to land a man on the moon. Thunderbirds display team. Growing up only a half mile from what was once Springfield Airport. His childhood exposure to aviation was so vast that at an early age, Bredenbeck could identify dozens of aircraft purely by their sound. “I was the geek kid who could name any plane without looking up,” he noted during our interview. event, Marveling at the technology on display. Each launch showcasing just what man was capable of with enough money and a competitor like Communist led Russia to beat to the punch. His mind was made up before he even reached double digits in age – Being an astronaut was his destiny. “I was always going to be an astronaut or a fighter pilot. Period,” he said. Bredenbeck’s hometown also played a notable part in aviation history, as home to the Grandville Brothers (GB) Aircraft Company based in Springfield, where the duo produced the powerful, yet obscure looking and notoriously dangerous Gee Bee Racer R1 and R2 in the 1930s as air race competition planes. Bredenbeck could recall walking the now abandoned grounds of the former Springfield Airport as family members recounted witnessing the Gee Bee aircraft being put through their paces as they walked along the perimeter fence of the airport. Never straying from his goal, he began his journey by learning to fly in 1978, gaining his private, commercial, and instrument ratings during his four years attending Embry Riddle Aeronautical University, graduating in 1982 at the age of 22 with a bachelor’s degree in Aeronautical Studies and Avionics. Bredenbeck was tasked with many unique missions while flying both domestically and overseas, but none were more noteable than being tasked during his time in the Army reserve on September 11th, 2001 to provide air coverage over the remains of what would be called later “Ground Zero” the site of the worst terroriist attack on American soil at the World Trade Center where over three thousand died as the towers collapsed after being impacted by terrorists on a suicide mission who hijacked four commercial flights, two of which crashed into the towers, bringing them down shortly after. Kevin Bredenbeck Photo. TAlthough o b he ec om e l iawards c o pduring t e rhis To would goe on toawinhmany career, Bredenbeck dreamed of nothing more that being an Astronaut growing up as the space race played out in the become helicopter pilot, must 1960s. His trip a to space never eventuated, butyou his dogged determination saw him secure a role first at NASA, and then go on to use his engineering degree during his first stint become skilled atArmy many things. at Sikorsky before joining the to become a pilot.After His returnthe would see him take the pilot’s seat and become one of the companies living legends. Sikorsky Photo dawn of the social media age, those mastering the art of self-promotion can become well known in their field with relatively little effort and some good luck. changed his career path – at least temporarily. Bredenbeck was asked by the person on the line if he would like to come and work for NASA. Utilizing his degree he became a systems engineer for United Space Booster Incorporated, who specialized in assembling and placing the solid rocket boosters on spacecraft that would propel them into the outer atmosphere and eventually into outer space, where Bredenbeck hoped to one day travel as an astronaut. many Black Hawks leaving Connecticut, Sikorsky also completed at least two Sea Hawks and one CH-53 monthly at the time, which Bredenbeck mentioned was, for a non-wartime effort - a substantial achievement for the company. Clearly not cut out for life flying a desk, Bredenbeck’s determination to fly for a living proved a powerful motivator as the sky continued to call him back to his original plan of flying in the Military. After a year with Sikorsky, he began submitting applications for flight school with both the Army and Navy. Both services expressed a keen interest in making use of his unique background in the technical and engineering side of aviation. Bredenbeck’s wealth of knowledge was something that few if any other military pilots possessed. This skill would continue to benefit him right throughout his career as people grew to know his skill at identifying problems and finding solutions. All he wanted to do was fly…and in the least amount of time possible. His mind already made up, he decided that the choice between the Army and Navy was not a difficult one and he would join the branch that made him an offer first. aviation. One to lead by example, Bredenbeck decided to do it the hard way, completing basic training first, then earning his wings at Fort Rucker Army Airfield where he completed warrant officer flight training (WOFT) where after three months, was promoted to the rank of 2nd Lt. Bredenbeck stayed on at Rucker for a period, although not as an instructor as was common for high performers with natural leadership and training skill. Instead he moved into a role he was uniquely qualified for - joining the test division based at Mother Rucker where he flew a variety of aircraft until he finally transitioned as a pilot in command of what was by now an old friend - the UH-60 Blackhawk. TOP: Bredenbeck arrives on scene during a mock medical evacuation training exercise flying a 377th DUSTOFF Medivac Sikorsky UH-60. Unbeknown to Bredenbeck at the time, he would go on to assist in the further development of several new Black Hawk models during his 23 years with Sikorsky using his extensive combat experience in Iraq. U.S Army photo BELOW: Images from Bredenbeck’s deployment during operation Iraqi freedom depict the varied mission profiles and landing areas his team would have to adapt to during thir time in Iraq. Kevin Bredenbeck photo. and South Korea. Upon his arrival, Bredenbeck was sent to Taegu, South Korea, home of the 377th 3rd platoon. Upon arrival, he was not even given a chance to put his bags down before having bars pinned on his collar. Bredenbeck had been granted his direct commission. This meant instead of assuming the role of a pilot in the 377th and serving in multiple mission types that included medical evacuation, search and rescue and patient/soldier transport, Bredenbeck instead assumed the role of unit maintenance officer. TH E N E X T S T E P Bredenbeck would not see deployment again until the onset of the second Iraq war, where he was deployed as a Dustoff pilot during Operation Desert Storm. After eight years spent in active duty in the Army, after returning stateside after Desert Storm in 1994 he then decided to retire from active duty status. Bredenbeck transferred to reserve status where he would continue to serve his country for an additional five years attached to AVCRAD, based in Groton, CT.
His reserve unit responsible for bringing aircraft back to service from active duty after serving in a war zone. Bredenbeck’s unit oversaw quality control procedures and allowed him to still gain flight time in the Bell UH-1H Huey and Blackhawk. Bredenbeck finally retired from Military service in 2000 after his growing workload forced a decision to be made to ensure he still maintained a good work/life balance. As his full-time military service days wound down, Bredenbeck decided he wanted to continue flying as a career and began the search to find an employer that he could make that happen within the civilian world. That search led Bredenbeck back right to where his career in the helicopter industry began. Returning to the place he had departed over eight years prior as an engineer, taking a role at Sikorsky in Connecticut. But this time in the flying role he had always wanted as a production test pilot. Unbeknown to Bredenbeck, taking this role would set in motion a career path that would not only become his home for twenty-three years but also see him become part of helicopter aviation history. engineer. Although almost a decade had passed, Dixon clearly recognized Bredenbeck from his first stint. Bredenbeck still considers himself incredibly fortunate to have studied under such industry greats that chose him to share their knowledge with to see him succeed and reward his passion for what he was doing. After spending twenty-three years with Sikorsky, it was time for a change, said Bredenbeck. After achieving a great deal throughout his test flying career that played a substantive part in the overall safe operation of thousands of helicopters now serving in multiple disciplines and missions around the world. Bredenbeck credits the testing process related to the introduction of fly by wire technology into helicopters, first with the Black Hawk, then continuing with the S-92 as both one of the largest challenges and greatest successes that he states in a humble tone that he played a “small part” in its eventual success within the industry as the new standard. making sure that military rotorcraft delivered by the industry giant was the best they could be for our troops, I am certain that somewhere in Montana, sits a stream stocked full with trout that has his name on it, waiting patiently for the day he trades his wings in for a fishing pole. Even if it is only for a day or two before the sky calls to him again. CENTER: As Sikorksy’s Chief Experimental Test Pilot, Bredenbeck was responsible for the testing of X2 future vertical ligt technology that resulted in the design of the S-97 Raider. BELOW: Bredenback after making the record breaking flight in the X2 reaching a speed of 252 knots & becoming the fastest helicopter pilot in the world. very well be the start of a major shift in the industry. When asked what he saw in the long term and where he wanted to see himself situated over the next decade, the usually quick to respond Bredenbeck paused, giving careful thought to the posed question. Arriving the evening before most of the “real” show started, air traffic overhead seemed never ending. It was everything I had ever read about – a non-stop parade of aircraft tracking a line in the sky. R ISING F RO M T HE F I E LDS Over 600,000 visitors make the pilgrimage to this aviation mecca that rises from the fields of the several square miles that surround Wittman Regional Airport in Oshkosh, nestled on the Western side of Lake Winnebago, a picturesque lake also bordering the cities of Neenah to the north, and Fon Du Lac to the south. The several square miles surrounding Wittman Airport transform from lush green grass to a self-contained village of close to thirteen thousand individual sites that are a mishmash of Luxury campers, fifth wheels, caravans, and tent sites. For a guy that is admittedly not as knowledgeable about the fixed wing side of the industry, I was staggered at the sheer number of aircraft on site. Tucked into every available piece of the landscape not already claimed by a tent, camper or vendor, were thousands of GA aircraft, vintage warbirds, and everything in between. In addition to the seemingly endless rows of vendors, Airventure boasts an airshow performance each afternoon and two nighttime airshows. Adding to that hectic schedule was a non-stop flow of historic aircraft performing formation fly overs of the airfield for what seemed like the entirety of each day of the show. On the helicopter side, EAA owned Bell 47 helicopters created an almost permanent airborne pattern of several Bell 47 aircraft conducting joyflights from sun up to sun down. Flying in one of the over 1,000 flights conducted by volunteer pilots is also the only place to get a bird’s eye view of the show while in full swing due to the restricted airspace surrounding show center where air traffic controllers handled almost one hundred and thirty takeoffs an hour. The air traffic control tower at OSH looks like it would be better suited to a large international airport, appearing somewhat out of place on the 359 days of the year when Airventure is not in full swing at the airport that usually holds just over 100 aircraft. By the end of the Airventure 2018 show, air traffic controllers directed just shy of twenty thousand aircraft movements over ten days. Wittman Regional Airport for 355 days a year houses just over 100 aircraft. During the ten days of the Airventure show, over 20,000 aircraft will land at the airport, making Wittman Airport the busiest airspace in the United States for just over a week each year. Below: For many seasoned attendees, there is no expense spared in their annual trip to Oshkosh. Campers stay in everything from the latest million dollar luxury tour buses, to those that prefer to rough it in a tent in the camping site that sprawls out for miles in several directions. Main image: Wittman Airport in Wisconsin becomes the busiest airspace every year during the show, averaging 140 takeoffs an hour. The fields surrounding Wittman Regional Airport begin to fill with campers from around the world in the week prior to the beginning of EAA Airventure. By the time the actual show begins, campers number over 20,000 over almost four thousand campsites. SIGH T S A N D S O U N D S Eye candy for the aviator starts at the experimental, rotorcraft and ultralight display area on the south end of the field. This lively section of the show managed its own air traffic outside of the concern of the main runway, their grass runway operating autonomously from airshow traffic, although they would shut down demo and display flights during each day for the airshow performances, likely to push all attendees into show center to watch the spectacle only seen at Airventure. Vendors and aircraft were stacked twenty deep along the western edge of the taxiway until you hit show center covering every inch of spare space. Show center, easy to spot from a distance using the giant tail of a Lockheed C-5 Galaxy for navigation. The military area was also flanked by an assortment of military jets including the newest F-35 Lightning drew a constant stream of spectators. Part booth and part corporate chalet, large two-story structures housing VIP’salso dotted the landscape around the show. For as far as the eye can see until you hit the road leading back to the camping area, the rest of the area was filled with blocks and blocks of large white tents that served as booths for large aviation brands like Lightspeed aviation headsets, Garmin and almost a thousand other vendors that exhibited at this year’s EAA Air Venture. The Airventure show was surprisingly well catered to families in attendance, evidenced by the Ford Motor Company’s commitment to providing entertainment for children in attendance, as too was the availability of giveaways from many vendors aimed at kids, hoping to spark a passion for aviation like many of us in the field have. Commemorative flights of dozens of warplanes like these were a common sight at the annual Airventure show each day. Top: Safari Helicopter’s new 500 model takes to the skies for the first time in front of the corwds at Oshkosh. Safari reported three pre-order sales of the still in testing aircraft. Top inset: UND displayed the Robinson R44 Cadet at Oshkosh that generated much interest in the helicopter and the universities aviation program. Bottom: An OH-6 Little Bird restored to flying condition took to cloudy skies above the EAA Airventure show as part of a Vietnam war era demonstration in which the OH-6 was instrumental in many battles fought in the conflict. although Safari’s multiple 400 series helicopters performed non-stop flights throughout the show for potential buyers.) The rest of the rotorcraft present at the show were mostly static display’s forming part of University flight programs, including a Robinson R44 Cadet garnering a great deal of interest from curious onlookers that noticed only two doors on the R44 frame and wanted to investigate further. FUTUR E V E R T I CA L LI F T Future vertical lift contenders sparse, but also showing a presence at the show. Early developer and frontrunner Workhorse Group’s Surefly was on static display near show center and was also scheduled to demonstrate its early capabilities in front of eager crowd curious to see this new quad rotor hybrid was capable of. Unfortunately for the team at Workhorse, mother nature stepped in at the last moment once the team had rolled the Surefly on to the taxiway, producing winds that exceeded the company’s flight testing envelope forcing them to abort the flight after barely starting to spool the very quiet rotor blades. H EL I CO PT ER O U T LOOK The helicopter world still hasn’t embraced Oshkosh like it should, although previous attempts have been made over the years. HAI made a run at trying to drive more attendance into the show with a chalet that lasted several years, until they too apparently decided Oshkosh was a place for the fixed-wing market, despite the hundreds of other vendors at the show for which it has been worthwhile attending for decades. Vendors we spoke to that sold products to both fixed wing and rotary customers noted that they sold many helicopter related items during the show, but it has still not become a destination for larger OEM’s other than Airbus who parked a sleek H130 outside their Chalet that was the most modern rotorcraft on the grounds. The highly anticipated public flight of the experimental FVL Workhorse Surefly was cut short soon after the aircraft powered up its eight rotor, dual powered prototype due to high winds. Background: Part of new Red Bull Pilot Aaron Fitzgerald’s first Oshkosh routine involved veteran Air Racer and fellow Red Bull teammate Kirby Chambliss corkscrewing around the newly painted Red Bull helicopter of Fitzgerald before he commenced his aerobatic routine in front of tens of thousands of spectators. Left: Fitzgerald departs show center loaded with Red Bull Air Force skydiving team members JT Holmes, Jon Devore, Amy Chemelecki and wingsuited skydiver Miles Daisher, who “flew” the length of the three mile runway before landing in front of the large crowd assembled at Oshkosh’s show center to see Fitzgerald debut in his first official performance that also unveiled the Red Bull BO-105’s new paint job, featuring a majority metallic blue paint inlaid with chameleon like stars and Red Bull logo with red and white accents throughout. centered around aerial camera work during Red Bull Air Races before being tapped to fill the vacant role as an aerobatic helicopter pilot on the demanding air show circuit. Above: Aaron Fitzgerald flew daily in his first official performance as the new pilot of the Red Bull Aerobatic BO-105 helicopter at Oshkosh where Collective was given the chance to shoot Fitzgerald for the first time during an aerobatic performance at Oshkosh. Right: Fitzgerald touches down after his first aerobatic performance at Oshkosh as the Red Bull Air Force gather their parachutes having landed several minutes earlier. Gaskins is both a helicopter and fixed-wing pilot, in addition to being a pilot that competes in the annual Reno Air Races in his own personal Lancair. Above: Red Bull Air Force Wingsuit Skydiver Miles Daisher pops his chute after his wingsuit flight in front of fans as he descends to join fellow Red Bull Air Force team members JT Holmes, Jon Devore and Amy Chemelecki who each take a low altitude jump from the Red Bull Helicopter as part of the airshow entertainment provided by Red Bull at Oshkosh. both relieved that the mission was complete and after a quick review, I was also satisfied that we got what I came for. understand the sheer size and magnitude of a show this big that would take twice as long as it runs to see everything there is to offer. A quick review of my images revealed a tack sharp image depicting Red Bullâ&#x20AC;&#x2122;s flagship helicopter in its brand new paint positioned at show center the way it should always be seen, upside down. Alas, for the helicopter industry to see it as a worthwhile annual event at which to market their products, more needs to be done to promote participation from the rotary world. true value proposition that will do more to appeal to both sides of the aviation world. Although rotary participation was paltry when compared to fixed wing participation, I hope that EAA continues to try other ways to increase participation levels from the hover lovers among us. Airventure is unique in that its mix of being a part air show, part trade show, and nonstop action. That in itself makes vendors see it as the best place to market their wares, and despite the drastically smaller number of helicopters at the show, vendors in attendance did cater to both markets. It is evident that EAA has continued to refine their offering to the audiences in attendance over their forty-nine consecutive years of hosting the AirVenture show. This show is the only one I have ever seen around the world able to strike a good balance between airshow, trade show, camping venue and even a destination that caters to children. Perhaps things will improve on the rotary side in the future at AirVenture, but the 50th consecutive AirVenture show in July of 2019, that brings with it a $170 million economic benefit to the area will be yet another must-see event on many calendars that draws tens of thousands to the small city of Oshkosh for years to come. Center: A B1-B Bomber departs Oshkosh after rain postpones a night airshow performance. flyovers were an hourly occurrence at d Yak 110 was a head turner during its oJet aircraft that performed at Oshkosh. morative flyover of the field. Left to right: Dianna Stanger, and Ronnie Bogart teamed up to organize and fly the most successful Fly WOAW event to date. aviation as possible with the Fly WOAW Event. This year they raising the bar by flying close to 1,700 girls and women in a single week long event. With 6 months of preparation, Ronnie Bogart organized a well run, safe and memorable experience for all in attendance. “No other pilots, male or female, have introduced more girls of all ages to flight than Dianna has” says Mireille Goyer, Founder & President of the Institute for Women Of Aviation Worldwide (WOAW). The fun began the week before the event when Dianna and Ronnie ferried Dianna’s EC135 Helicopter from Sacramento, CA to Loveland CO. What started out as just a logistics flight ended up being one the most memorable flights either of them have taken. ger has made it her personal mission to give free flights to as many girls and women as possible. Dianna, with her EC135 helicopter, has been responsible for flying over 3,100 participants through the years for this event. Training, The Flying School, and Aim Community College’s Aviation Program. Additionally, both the Flying School and Aim donated planes, pilot’s and fuel to help the event become the large scale success it was. Additional organizations participating in various capacities included Angel Flight, Whirly-Girls, The 99’’s, Medical Center of the Rockies EMS Helicopter, the Forest Service Aviation Division, the Air Force Academy and Fort Collins Junior League. CDOT brought a Red Bird Simulator to the event which gave all participants a chance to fly (virtually at least.) Female United Airlines Captains that atteneded the event were a hit with many young girls attending that delighted in seeing the female pilots in full uniform, who took turns speaking with the girls and ladies along with two female military aviators. Static displays included an airport fire truck which happens to have a female fire fighter, an EMS helicopter and Civil Air Patrol aircraft. Some of the vendor booths even included a selfie station featuring aviation clothing, helmets, hats and props that the participants could try on to take and post photos and get a feel for what they might look like as a future pilot. Above: United Captain and Meghan Fridley from the Air National Guard came to the event in uniform to inspire and speak to the girls about their careers. A large part of the success of this event was attributed to material and volunteer support from the Northern Colorado Regional Airport’s according to Top: Angel Flight West giving information about their program to bring transportation to those in need. Center: Aim Community College Aviation Program, in Greeley, CO, set up a booth to inform those interested in an aviation career degree program. Bottom: Leading Edge Flight Training is one of the flight schools based in Loveland and the Northern Colorado Regional Airport. The core group of volunteers that spent the week loading, flying and educating the girls and women of Fly WOAW 2018. From Left to Right: Mitchell Levy, Pilot Don Poncelow, Susan Armontroutt, Helicopter Pilot Dianna Stanger, Jodi Preston, Kelli Schmidt, David Solano, Cat Solano, Organizer Ronnie Bogart, Trina Bogart, Steve Plunkett, Pilot Debby Rihn-Harvey, Deb Montgomery and unnamed volunteer. Local Fort Collins Junior League ladies joined the fun and volunteered. They interacted with the girls and got them excited for the flights. Deb Montgomery, JetCenter Manager and Jason Nicon, Airport Manager. Rick Preston who owns a flight school, Del Sol Aviation. Fly WOAW Colorado 2018 was the best attended event in the United States, giving a total of 1,694 girls flights with a total attendance of over1,800 attendees the event averaged 282 participants flown each day. Seeing the faces of the girls and women after taking their first flight in a helicopter or small GA airplane that leaves a lasting impression is the most commonly stated reason that volunteer pilots give when returning each year. There were many confirmations that what WOAW set out to achieve had worked. Many of this year’s participants expressed a desire to make aviation a part of their lives. Which in the past, has seen flight recipients get bitten by the aviation bug as a result of the WOAW event that are now in flight training. Participants having fun at Fly WOAW 2018 at Northern Colorado Regional Airport, Loveland, CO.
for the worldwide event for the most generations flown at one time. PILOT PROFILE DIANNA STANGER is always the highlight of the event. Everyone loves her and her helicopter. Stanger is so dedicated to the mission of this event and spends all year looking forward to this week. She has the most infectious energy and smile and makes every flight feel like it is the best. From start to finish, her energy and enthusiasm to make this a memorable day for the participants, never waivers. She flies for up to 7 hours a day for the entire week and maintains her excitement from the first flight to the last. She has received the Women of Aviation Worldwide Week’s Most Dedicated Female Pilot recognition several years in a row. Dianna has many accomplishments to her credit, including being a board member of Angel Flight South Central along with flying missions for them, and has won the Air Race Classic Championship twice. She has also helped transport supplies during hurricane Harvey. She is the owner of Darkstar Air Racing, the only woman owned, women flown air race team at the Reno Air Races. When Ronnie Bogart met 5-year-old Lillian Kiriakos on Wednesday morning at the Northern Colorado Regional Airport, she saw a younger version of herself. Lillian, with no history of aviation in her family, wants to be a helicopter pilot when she grows up. So did Bogart when she was that age, but she didn’t have any way to channel her dream. She didn’t become a pilot until she was in her 40s. Now Bogart, a helicopter instructor, hopes Lillian and girls like her won’t have to wait to get into a profession that’s only 6 percent female. “Moments like that, is what we really want to nurture,” said Bogart. Lillian though, got to sit in the copilot seat in one of the helicopters she wants to fly when she grows up. Her favorite part was when they did a “roller coaster,” which is exactly what it sounds like: straight down, then back up, then down again as the helicopter hovered and flew backwards. Lillian’s mom said she didn’t know where her daughter’s passion comes from, but when she heard about the event she had to bring Lillian. “When I was her age, they Photos: Pilot Dianna Stanger with a few of her happy participants at this years Fly WOAW event. PILOT PROFILE DEBBY RIHN-HARVEY is a native of Nebraska and the third generation of aviators in her family. She is one of the highest ranked aerobatics competitors in the United States and is the most decorated Aerobatic Pilot, male or female. Photos: Pilot Debby Rihn-Harvey with some of the girl that flew in a Cessna 172 with her. She is a retired Captain for Southwest Airlines with over 35,000 hours. She owns and operates Harvey & Rihn Aviation. A flight school at the La Porte Municipal Airport in La Port, TX. Debby is an Aerobatic Competency Evaluator (ACE) for the International Council of Airshows and an FAA Designated Flight Examiner. didn’t have events like this. It gives me purpose to know I can help to influence a young girls desire to fly” said Bogart. Among the list of 28 pilots volunteering to fly for the Fly WOAW event, there were a few special pilot guests. Jan McKenzie serves as the President of the 99’s and could be considered “aviation royalty.” Debby Rihn-Harvey was another well respected and known pilot to assist. Among Debby’s many accomplishments, she has been involved with Woman Soar You Soar. A EAA Program that is an aviation camp for girls at AirVenture. As part of the Women of Aviation Worldwide Fly It Forward Challenge, the Fly WOAW Event took the top worldwide awards by storm. The Colorado event run by Stanger and Bogart took home the honors of Most Female Friendly Airport Worldwide that was presented to Deb Montgomery, FBO Manager and Jason Nicon, the Airport Manager. She is also the longest standing member of the U.S. Unlimited Aerobatics Team, qualifying to represent the U.S. fifteen times in World Aerobatic Championships in North America and Europe. In world competition, Rihn-Harvey has been a Gold Medalist as well as holding many regional titles. Among her other awards are the Texas Aviation Hall of Fame, EAA Sport Aviation Hall of Fame, and she received the Loyd P. Nolan Lifetime Achievement Award in 2010. Ronnie Bogart receiving the award for Most Productive Organizer Worldwide, while Dianna Stanger took the award for the Most Dedicated Female Pilot Worldwide, flying 716 girls and women in 2018. Not to forget the men that helows make the 2018 WOAW event a huge success, pilot Rick Turley received the Most Supportive Male Pilot Worldwide, Turley flying 63 girls and women in Colorado. 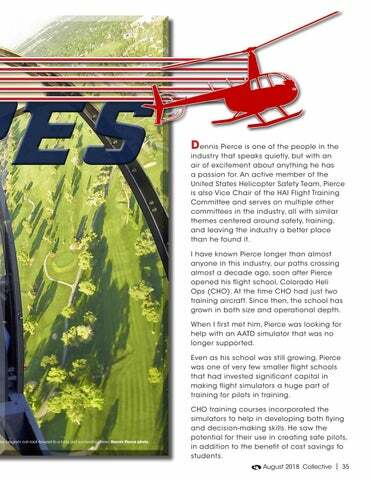 Dennis Pierce, the CEO of Broomfield, Colorado flight training company Colorado Heli-Ops was tired of seeing the fixed wing world provide programs that offered a real career path for pilots in the fixed wing world - so he created one for the helicopter industry.